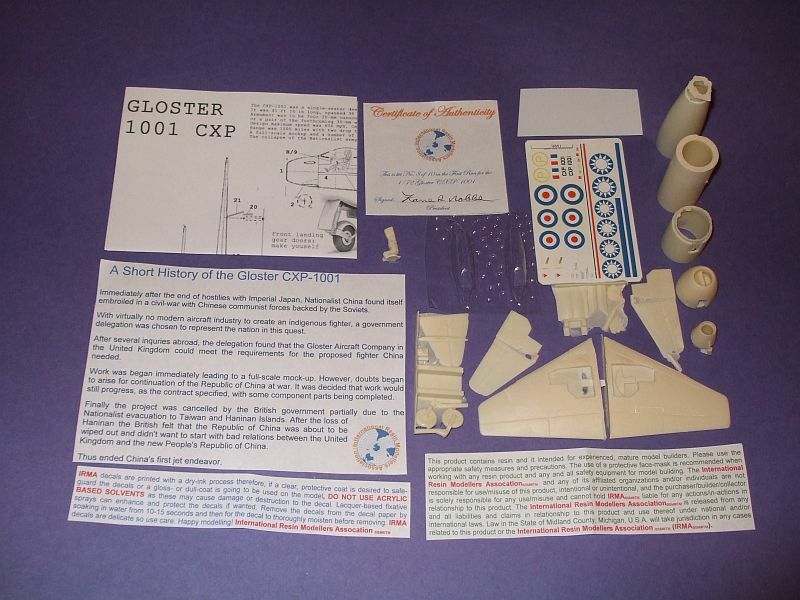 Here is our next article on resin building and constructing the new CXP-1001 kit. 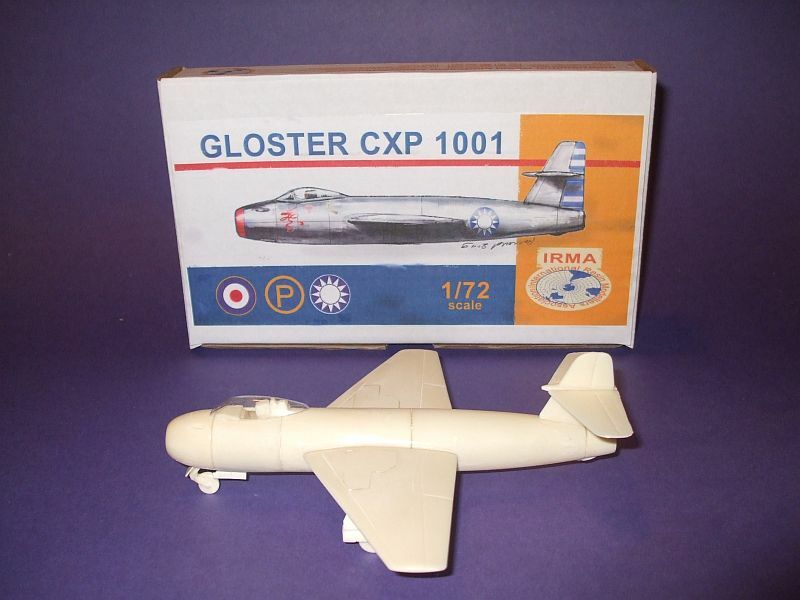 See also Selecting a Paint Scheme for Your IRMA Gloster CXP-1001 on the Articles 5 page. This article is mostly for those new to the resin format of model building. For those with more experience, please be patient and bear with me. Any questions, comments, suggestions, ideas or corrections are most appreciated. So, you have stepped up to the plate and are finally ready to conquer that resin kit you bought. How to approach this new modeling format? Hmmm. First, make sure you have all the essentials you will need: instant glue or some type of cyanoacrylate glue, file, hobby knife, hobby saw, sanding paper, sanding cloth, putty (preferably the non-shrinking kind), paints of choice (best are acrylics), a clear glue for the canopy or any transparent parts, an instant glue remover in case of accident, and, if necessary, the trusty rotary tool with relevant accessories. Very important, make sure to have a dust mask! Some type of resin particles can be inhaled during sanding or filing and they can penetrate the lungs and do significant damage. Another safe approach is to wet-sand or file. This keeps the particles contained in the water and out of the lungs and airways. Keep in mind, patience first! Mistakes can be filled in, filed down and/or sanded away. 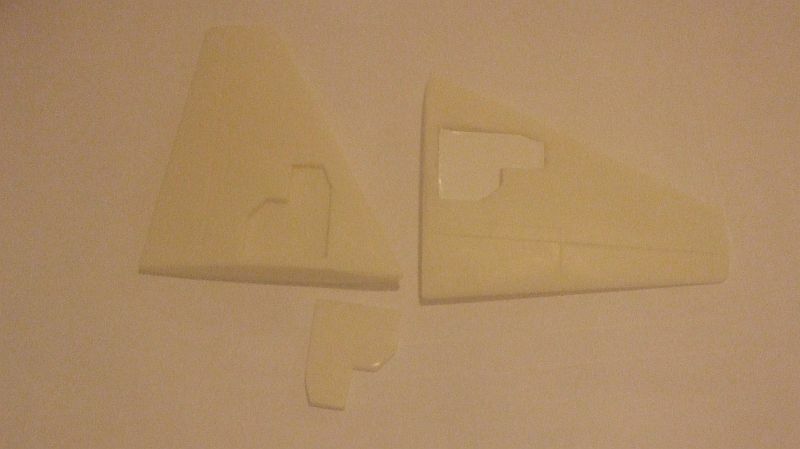 A good quality resin model is not going to be as easy as fitting well-formed plastic parts with key-pins to guide you. Use any reference materials you can find for your kit. Most resin companies are small, one-person operations so instructions and decals are often scant or not included. Set your parts out with the instructions and take an inventory to make sure everything is there. In new kits all the parts are typically included with two canopies in case you mess up on the first try. 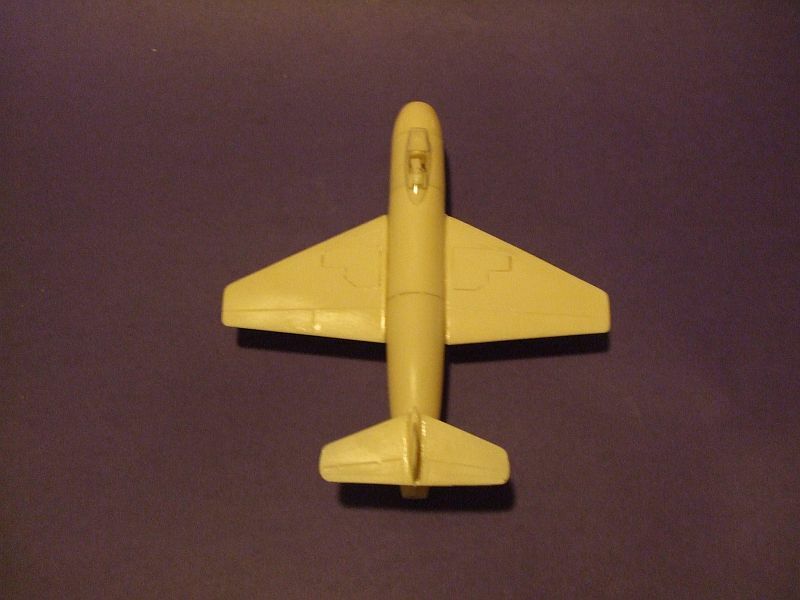 In fact, some companies, such as Heritage Aviation Models, Ltd. include up to four! 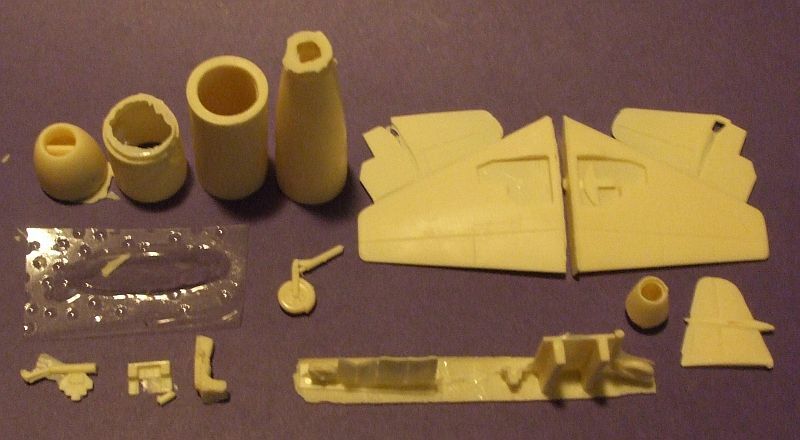 Kits from on-line auction sites can come with some parts missing. If you do find parts not there, most manufacturers will get them to you within a week. In some cases you may need to make the part(s) or look for after-market ones. For the sake of this article, we’ll assume all the parts are there. Wash all of the parts in a mild detergent to remove any mould releasing agent. Some kits don’t need this, however, most resin manufacturers use an agent so the mould will come off more easily. Let it dry thoroughly. Once all the moisture is gone, you are ready to begin. Some resin kits are now coming with the parts detached and smoothed out for you. Most are not. You will probably have to remove parts from a thin "wafer" which is a circle of thin, brittle resin surrounding the parts needed. Just cut or carefully break the thin material away. Then file or sand the parts smooth. Larger parts may be fastened to a "tree" or "block" and in this case you will need to cut or saw them off. Trust me, sawing is much safer. For this portion make sure to wear that dust-mask or at least wet the parts first. Make sure you cut or saw as close as you can to the block. Once the parts are released, sand and file until they are the correct shape and smoothness necessary. Test-fit the parts to make sure they are aligned correctly before applying any glue. Now for this portion, the style of glue you use depends partially on how fast you can work. I use a gel to set the parts because with this you buy some time to manipulate things into their proper position. Once this is done, I then apply the liquid version to make the hold stronger and fill in any small gaps or seams. This way there is less filling in with putty later. For larger kits it may be necessary to drill holes, once aligned, so that small, metal supports can be inserted. Just keep using the same, slow-paced, patient approach. If you start getting nervous or distracted, complete the portion you are doing and take a break. This hobby is to help you relax and should not be done under pressure or stress. In fact, during contests, I stop work on my kits three days before because after this point they might be ruined from the stress of competition. Once the main parts are in place and dried, if you need to, paint any small or interior parts. There are several good paints out there that work on resin. Best are the acrylics as they are less likely to attack any resin materials since they are water based. Unlike plastic, sometimes to get a good finish may take two or three coats, more for the lighter colors. We'll discuss that shortly. Ok, once the small and/or interior parts are in place, apply either a coat of primer or first coat of the color you will be using. This is to help find any gaps or seams that need to be filled. If you do find some, then apply your putty as sparingly as possible. Let it dry completely. Some dry in 45 minutes, some take all night. I usually let the putty dry overnight then cut and sand off the excess the next day. Once all is in place, you are ready for painting. Most colors will go on with two or three coats. On lighter colors such as white or yellow, even with primer, it can still take up to five or seven coats. If you brush on, like I do for aircraft, do a coat horizontal and then vertical. 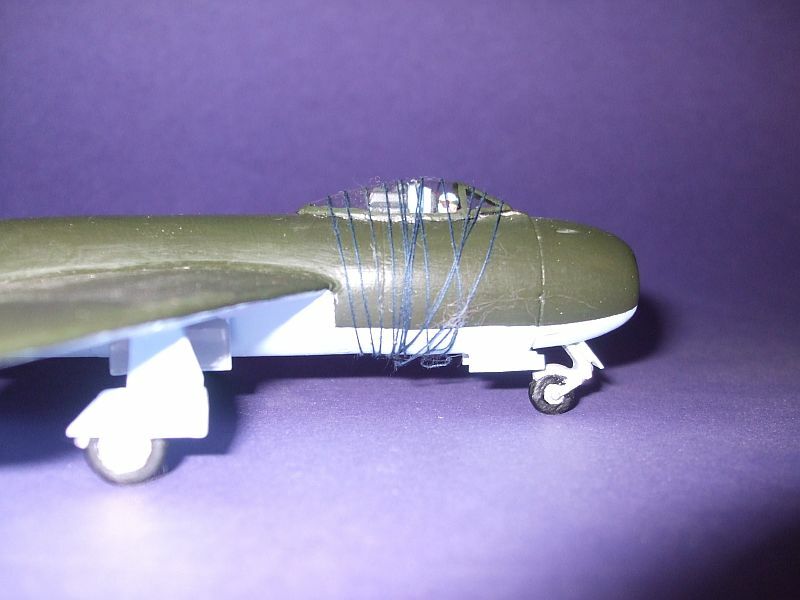 This lessens the chance of brush-lines and gives the model that slightly rough look of the real aircraft from all the air-resistance and turbulence they go through. In fact, many paints are now made to eliminate brush lines altogether. Some modelers prefer airbrushing, I cannot comment on this because I have never used one and prefer a more traditional approach. Once the paints are dried to satisfaction, you can attach any clear parts with the white-glue. Now for most resin kits the clear parts are a soft, vacu-formed plastic, though clear resin is now coming into wider use. For this the water-base white glue is the best. Many now have a small applicator that you can run along the edges of the parts before setting them in place. Make sure the parts fit snuggly and if necessary, gently hold them into place. For my aircraft I use waxed thread to hold them on until the glue dries. Before the glue dries you can take a moistened brush or tissue to wipe of the excess glue. If you don’t get it all don’t worry. It can be cut off later with a hobby knife or even softly sanded. 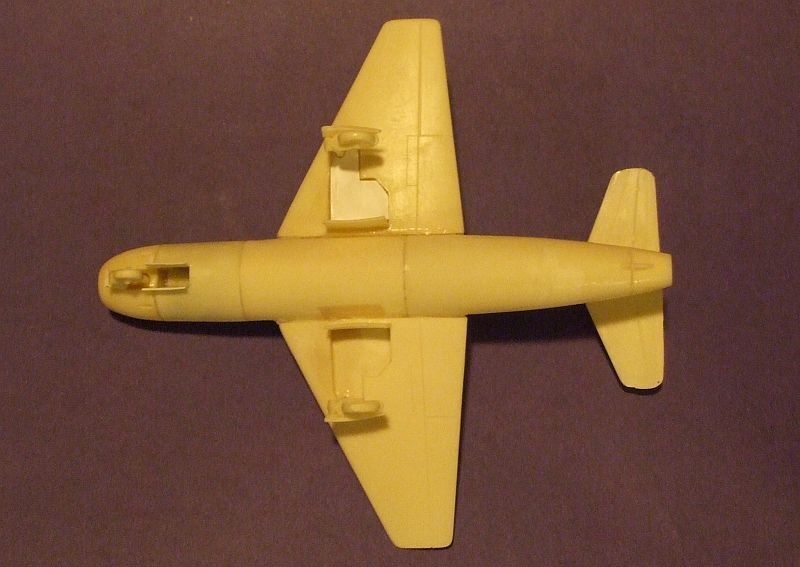 When this portion is completed, then the details for the canopy can be painted to match the body of the model. Now, if you have applied all the coats of paint to satisfaction, but the model still looks a bit "rough" or not just right, you can sand the paint with sanding cloth. The difference between sanding paper and sanding cloth is that the paper smooths the model by tearing the particles away. The cloth actually flattens out the particles at a microscopic level and comes in several different grades. Still, be careful because if you sand too hard or too much then some paint may come off. Do a bit at a time and when you reach the right point, STOP! Many a good paint job has been ruined because we just want to do a tiny bit more. DON’T! Next is the finishing, resin kit decals often will not stand up to the dull or gloss coats like those of major plastic kit manufacturers. You can purchase after-market decals that are of this quality, however, if you go with those included in the kit, they are often a much more fragile nature. If you are going to apply a dull or gloss coat, make sure this too is acrylic or oil-based to match the paints used. You can put acrylic on oil-based, however, you CAN’T put oil-based finishes on acrylics. There are good acrylic gloss and dull coats. There are some excellent decal products available too. Before putting the decals on they can be coated with a liquid film for decals, which will restore old decals or strengthen new ones (there are a few brands out there). Let them set until dry. In the meantime, coat your model with whatever finish you prefer. Decals apply better on a smoother finish. Next, submerse the decals in water, distilled if you can find it, for about 10 seconds. Then lift them out and lay flat on a dry, paper towel. Remember these are very, very delicate. I use a fan brush to gently test if they are loose yet. If you get some white residue from decal glue, you can either add some more water on the paper towel or, very carefully, place them back in the water until the white dissipates. Once all is clear, take the fan brush and test again. If loose, take a pair of tweezers and lift the decal paper with the decal and try to place it as close to the target spot as possible. With a steady hand, take the fan brush and slide the decal off of the paper and onto the surface of the model. To manipulate the decal a very thin, soft brush is best. Slide it into position as smoothly and quickly as possible. If it stops sliding around, dip the brush in the water and apply gently to the decal. The point is to keep the decal wet so it will be pliable. Once the decal is in the correct position, take a cotton swab and dab it dry. Then let it sit for a few minutes. Once it is completely dry, then apply a decal setting solution and let it dry again. These make the decal adhere tightly to the surface of the model. Do not touch the decal until dry because as the decal settles it will change shape slightly before drying back into the original form. If you want to add a protective coat over the decals, brush on a protective coat that is water-based. These are available in flat, satin and gloss finishes. In my case with a brush used exclusively for this. Do NOT use a spray solvent! Nine times out of ten the spray on stuff ends up totally destroying resin kit decals. Many is the time I have had to write "Dear Sir, Can you kindly send me a replacement set of decals, because . . ." Most spray-on solvents contain a chemicals that are too harsh for these types of decals. Decal products may be possible to airbrush on, again, I don’t know so if anyone out there has any helpful hints in this area, please feel free to pass them on. At this point you should end up with a fine model, and a great feeling of satisfaction. After all, this is resin! A much more challenging format and a major accomplishment, especially for that kit you always wanted but could never find until now! Well, our first kit is out and selling well! As it was molded in a very efficient way, it does have some unique features. 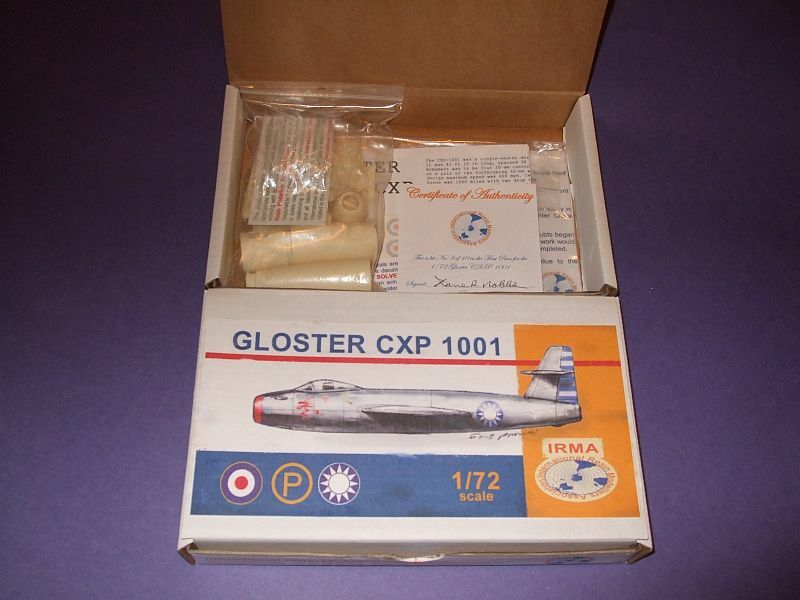 When the kits are packed for shipping you will receive the parts in a sealed, plastic bag, instructions, decals, a certificate of authenticity, brief background of the aircraft, along with a safety recommendations disclaimer and some sheet plastic. As the majority of the parts are still on the casting bars, they will need to be cut off, preferably with a razor saw. This cuts the closest and leaves minimal excess resin for less filing. Now, since the wings were formed in the same mold, there are two "gear close up walls" which go over the tops of the wings. Inside each wheel well there is a little mushroom shaped rise. This is so that the close up walls will be even when inserted. 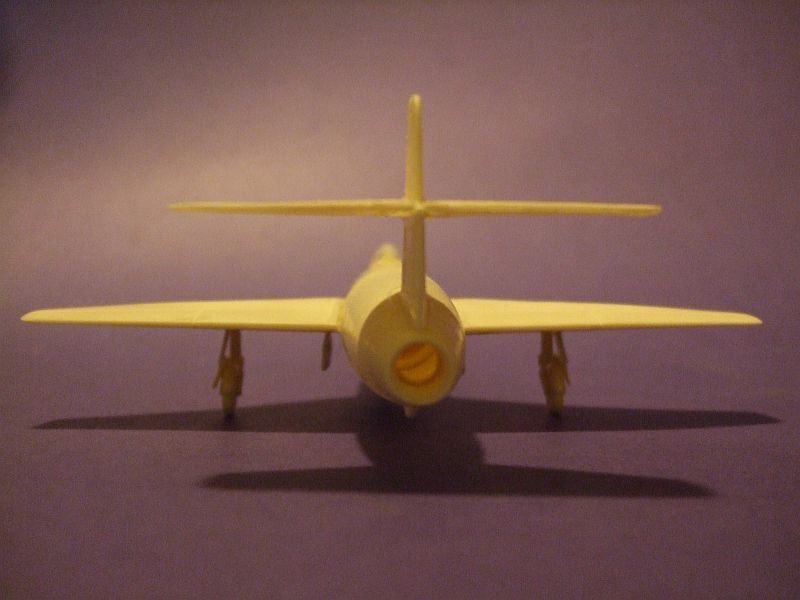 Also, the little "bumps" on the top-side of each wing are sanded off once the walls are inserted. If you want to even out the landing gear wells you can insert some very thin (like .005) sheet plastic and glue it in place. You will have to cut your own front landing gear doors and upper leg main gear doors. 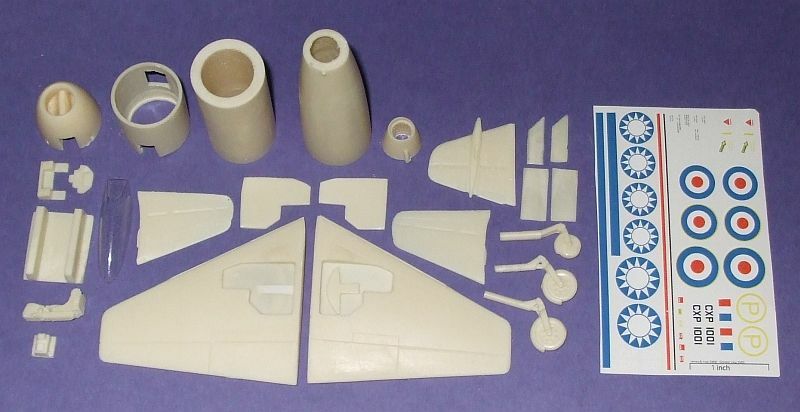 The kit is mostly tubular, which is more realistic and eliminates the seams found in injection plastic. It actually makes the finished model look more authentic. I build first, then paint as this reduces the potential for seams and lines. Also, I have quit using any kind of putty as it just keeps shrinking and refilling and matching old paint is so cumbersome. Now I use super-glue where ever possible or a cyanoacrylate filler. Once hardened this stuff can be filed, sanded and drilled. After painting the Martin-Baker Mk.1 seat to the correct specifications of 1946: light blue frame, tan back rest, salmon seat cushion and black head cushion; this was inserted into the cockpit along with the pilot and radio. The preliminary paint job completed, next is painting and then gluing the vacuform canopy. A white glue is best because once it dries the excess can be cut away for the follow up paint job around the seams. Wrapping the canopy with thread and letting it set overnight allows the glue to dry completely and the thread can be tightened or loosened until the canopy width fit is right. After much careful research to compare drawings, color plates and actual color photographs, the most common and continuous paint scheme for the Republic of China Air Force appears to have been an olive-drab upper surface with a light blue under surface. 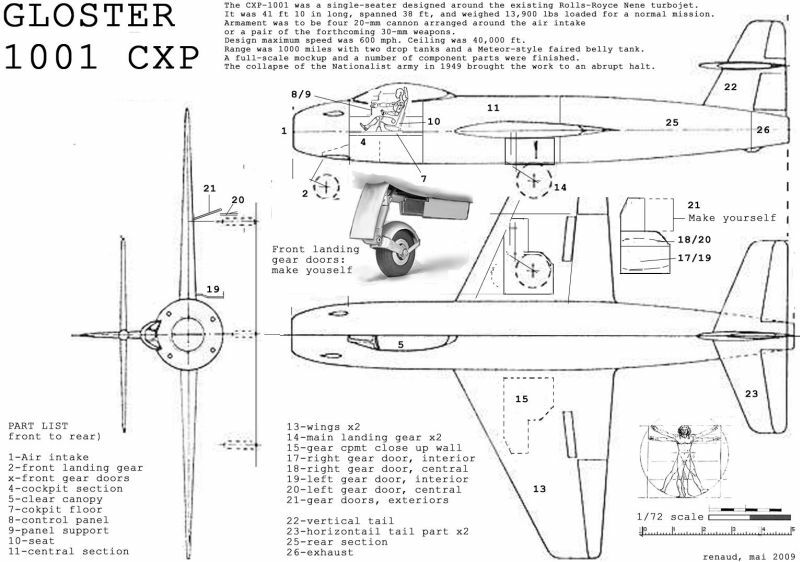 Landing gear was generally aluminum with a very light grey interior, as was the cockpit. Theoretically the aircraft was designed for manufacture in China. 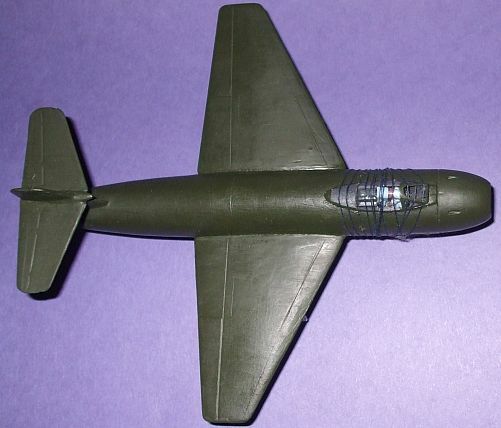 Historically aircraft were delivered to China from foreign suppliers doped in flat aluminum before being painted in either overall dark green or olive drab with light blue or light grey undersurfaces. 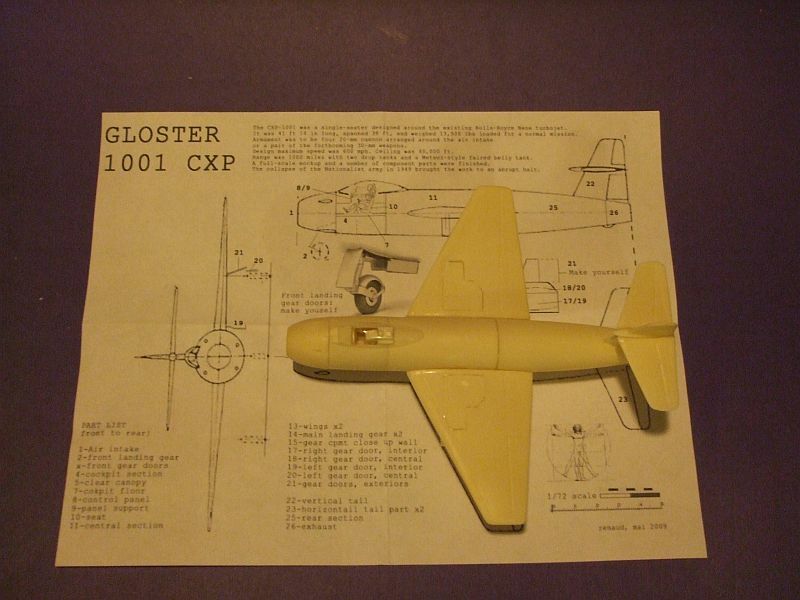 Chinese manufactured aircraft were delivered in the same color schemes although later bare aluminum became more common. The pilot's uniform was the typical light grey with blue tint at least up to 1946. It might have been that the ROCAF was still utilizing materials supplied by Germany during the 1930s. 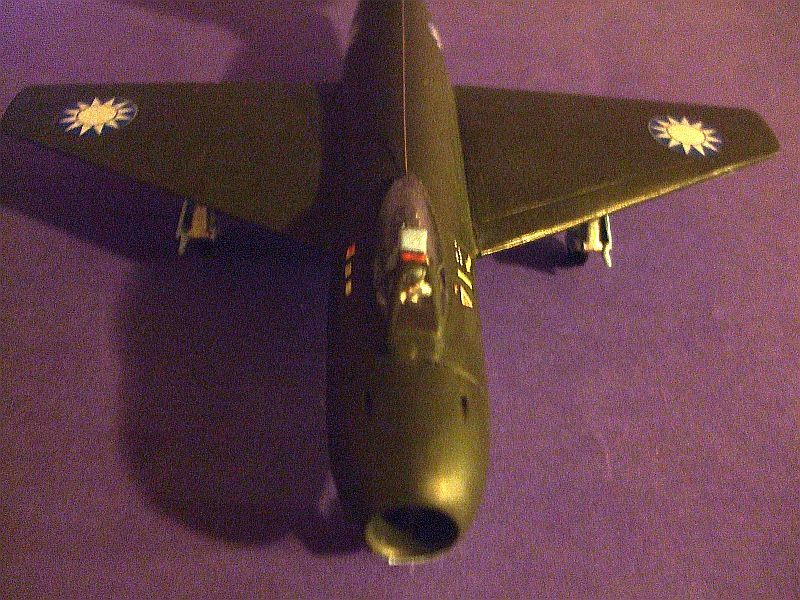 And here is our first prototype as prepared for delivery in China for the Republic of China Air Force circa the Chinese Civil War. A beautiful bird designed uniquely for production in China as the first Chinese jet.